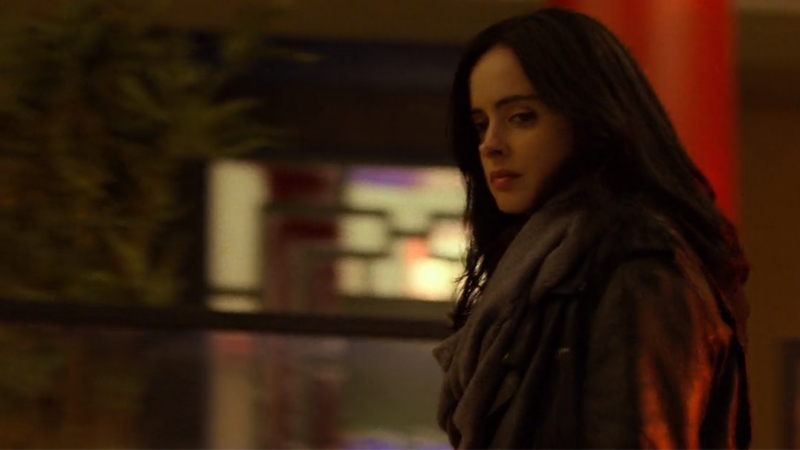 One of the most enjoyable things about The Defenders wasn’t just seeing years of Netflix plans come together in a four-hero adventure—it was the return Marvel’s unrivalled queen of snark, Jessica Jones, ready and more than willing to dunk on her fellow superheroes. And boy howdy, did she dunk. By the end of Defenders Jessica might have warmed up to her teammates enough that she’s inspired to truly re-open Alias Investigations and carry on fighting the good fight for New York’s citizens, but before that we were treated to many delightful moments of Jessica landing a dig in at her teammates whenever she could. Naturally, most of her skepticism and quips were saved for the team members she had yet to meet—having already become more than familiar with Luke back in Jessica Jones season one, she’d pretty much already got her put-downs in for him. So much of Jessica’s Defenders ire was given over to Matt Murdock (who she ends up spending the bulk of her time with in the series) and Danny Rand (who, well... she thinks is kind of an idiot most of the time). Here are our favorites, sorted by each of her fellow Defenders. Jessica spent a lot of time in this show with Matt and, to be fair, he has some of the more ridiculous pieces to his character, given that he’s not technically superpowered like the rest of the team. This opened him up to bear the brunt of Jessica’s finely-tuned snark machine. If you grab me like that again I’ll punch you so hard, you’ll see. The scarf looked better. Nice ears! My past is none of your goddamn business, and it’s not actively trying to kill us. Just so you know, if they’re pressing charges, we’re gonna want a lawyer who isn’t you. Matt: That is the nicest thing you’ve ever said to me. Jessica: Yeah, don’t get used to it. Despite—or maybe because of?—Luke being the only Defender Jessica knew prior to this show, he got off relatively lightly. It was good seeing you. Let me know when they fit you for a costume. Danny took a lot of actual, literal punches from Jessica—and everyone—else during the course of the Defenders, but Jessica never missed an opportunity to burn him metaphorically. Often, all she needed to do was look at him. What are you on, Lithium? Jessica: Let’s go, Iron Clad. God, Jessica Jones season two can’t come soon enough.